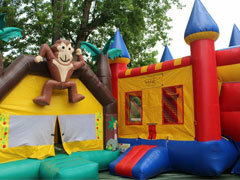 Bounce House Rentals & More: Serving Denver, Boulder, Fort Collins, Greeley, Longmont and other surrounding areas. Whether you're looking for a bounce house rental in Denver, a water slide in Fort Collins or one of our other fun inflatable rentals, the process is as easy as 1-2-3! Simply select your date, add your rental items to your cart and proceed to check out. 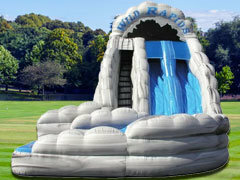 Also, feel free to scroll below to take a look at all of the fun inflatables, water slides, obstacle courses and more. 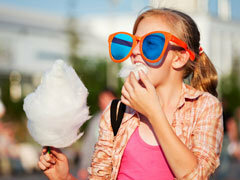 Let us help you create lasting memories with your friends and family at your next party or event. With the best selection in the area, you're sure to find just what you're looking for. We proudly serve Denver, Boulder, Fort Collins, Greeley, Longmont, Northern Colorado, The Front Range and other surrounding areas in Colorado. 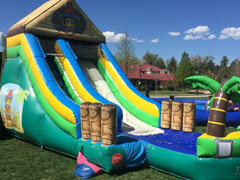 We provide the best bounce house rentals Denver has to offer, the coolest water slides in Fort Collins and the best carnival games in Greeley. Your best bet for bouncing birthdays in Boulder, Denver, Greeley, Fort Collins and beyond. 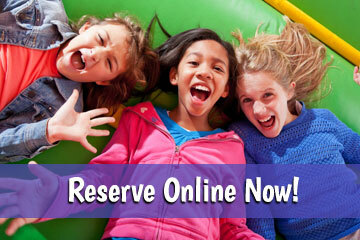 When it comes to quality, selection and service, it's tough to top Dizzy Party Rentals. 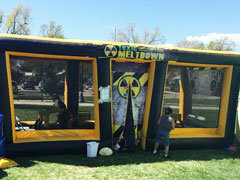 Whether you're hosting a backyard birthday party in Denver, a company picnic in Boulder, a school field day in Greeley, a church gathering in Longmont or even a corporate event in Northern Colorado, we have what it takes to make your next event a huge hit. From bounce houses, water slides, interactive games and more, let us help you create memories that will last a lifetime. We had a birthday party with mixed ages. From 18 months to 14 years. The nerf wars and ninja course are new andnthe laser tag seems bigger and more intense then bondocks. We looked at bondocks and wild game and jump city as options. We had a few sensory sensitive kids coming so bondocks was out. Since I was last at Dizzys they have improved and added things. It's so nice to have a place like Dizzy here in town. My kids will play in the kid zone for hours, especially if we make plans to meet up with other friends. 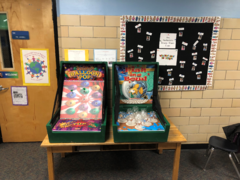 There are many kid-friendly arcade games and even games that I like to play. I can imagine it's very hard to keep a place like that clean but they seem to be working very hard to do that. I have seen staff sweeping and cleaning in between helping customers at the front desk. We took our son for his 8th birthday and it was one of the best birthday parties i have ever had. The staff were just amazing. Polite, prompt, friendly and very helpful. Dizzy's itself was clean, food was good, restroom were clean, services was great, games are awesome. we had unlimited everything it was just an awesome time all around for everybody and I will tell all my friends, family and everybody I know who has children about this place.